Iran, March 4, 2019 - On Monday, teachers in at least 30 Iranian cities held the second day of their sit-in protests. The teachers, who began their sit-in yesterday and will also continue tomorrow, are protesting against the government’s lack of response to their most basic demands, including low wages, inefficient insurance plans, poor living conditions and very poor management of the education sector. Iranian teachers are struggling to make ends meet as economic conditions in Iran continue to decline. The protests of teachers are taking place against the backdrop of wider protests by other government employees and retired public sector workers whose lives have been negatively affected by the government corruption and the declining value of the rial. The salaries of teachers has not changed in spite of the increasing inflation rates in Iran, making the situation even more difficult for the teachers.  As the Majlis (parliament) is discussing the budget of the upcoming Persian year (starting on March 21), the conditions of teachers and other government employees remain in doubt. While the regime continues to spend billions of dollars to fuel sectarianism and terrorism in neighboring countries, the lives of Iranian teachers and other segments of the society are spiraling into poverty and misery. According to the protesters, the education ministry is doing nothing to help alleviate the grievances of the teachers and other education workers. The teachers are also demanding the regime to respect its own laws pertaining to providing free education to all, as well as the cancellation of several legislations that will put further strain on working teachers and the many youth who are looking for employment as teachers. Among other demands of the teachers is the release of several teachers’ rights activists who continue to linger in the prisons of the Iranian regime for having raised their voices for the rights of their colleagues. The teachers are demanding the right to association. Mrs. Maryam Rajavi, the president-elect of the National Council of Resistance of Iran (NCRI), expressed the support of the Iranian Resistance for the demands of the teachers and called on all Iranians to support teachers in their cause. It is worth noting that in the past year, Iranian teachers have been regularly holding demonstrations to achieve their most basic rights and demands. In 2018, teachers across Iran organized and held strikes on several occasions. One three occasions, in May, October and November, teachers in several Iranian cities held strikes that lasted several days. In December, teachers and students held undeclared demonstrations in Hamedan and Kermanshah at the same time. A few days later, similar protests erupted in Yazd and Isfahan and was met with large attention from online media. The teachers of Isfahan continued their demonstrations for several days even though security forces tried to quell them by cracking down on the protesters and attacking them with batons and pepper spray. The continued bravery and courage of teachers spread to other cities. In late December, the teachers of Tabriz held protests and didn’t allow security forces to stop their movement. In January and February, Iranian teachers continuously held protests in various cities. The current protests, which have been previously declared and organized on social media channels, will continue for three days. As the demonstrations and protests join and gain momentum in several sectors of the Iranian society, the regime is finding itself less and less capable of maintaining its hold on power and stifle the voice of justice.